In continuing with the celebration of 100 Years of Leica, I added this image to my collection. It was 28 degrees and I walked through downtown Rock Hill where my office is. The snow was beginning to fall again in what would later be almost a foot. For this part of South Carolina, that is a 10-year occurrence and does not happen often. 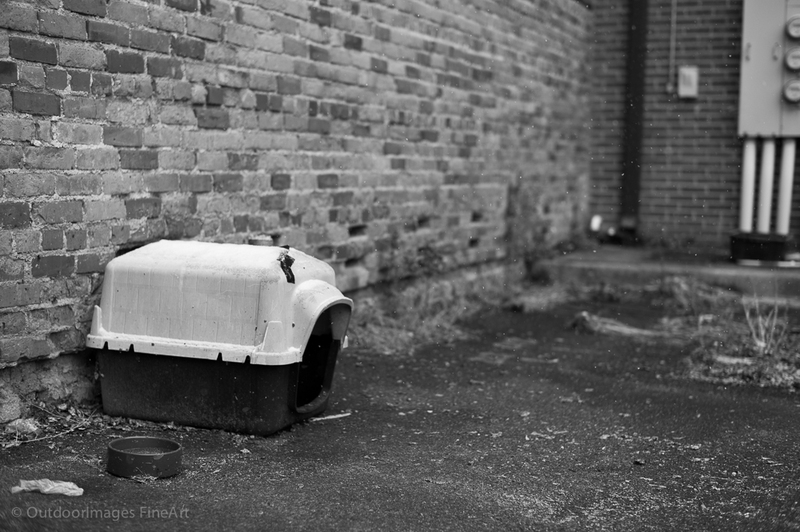 What struck me here was a back alley with a great shelter setup for a cat. We love animals and have four cats ourselves, so seeing this back alley shelter for some homeless cat was a unique sight!